Drag and drop this question type to your form. Once you have, you will see a button in the Properties box that says "Select File..." to Attach. Click this button. 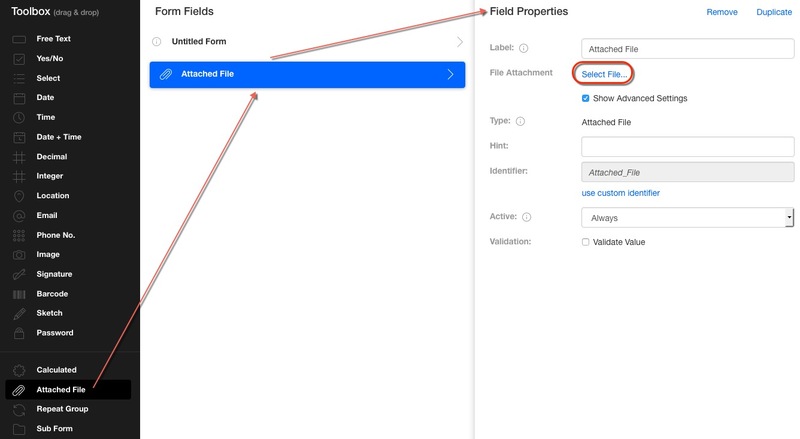 You will now see a box pop up where you can select which file you want to attach to your form. 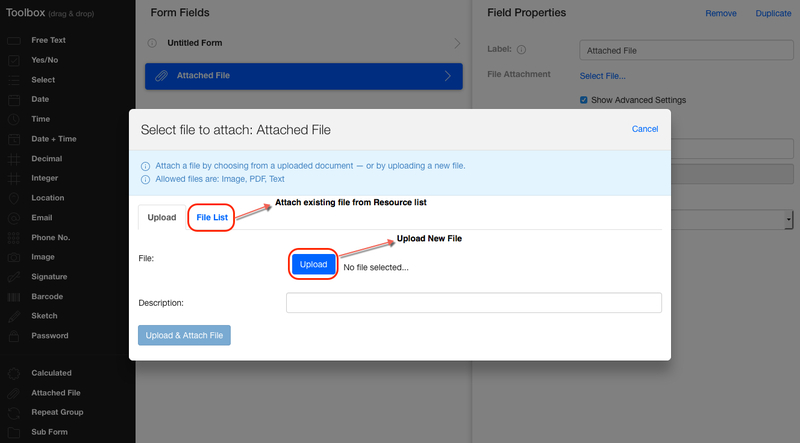 You can also upload new files you haven't yet added to your Resources page. 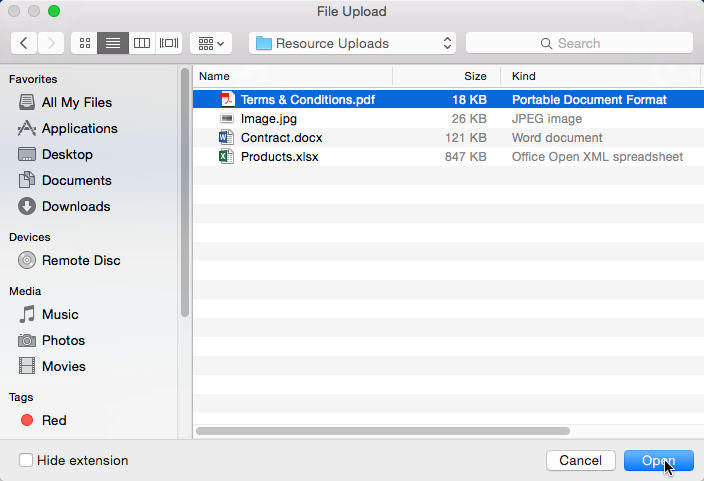 Once you've selected the file you wish to upload, create a description, and click "Upload & Attach File". You can now save your form, if it is complete. Once the Forms app has been opened and the forms list has synced, open your form and you will see the attached file in the Attached File Question on the device. The device will either prompt you to select a reader or the default reader for that specific format, will open the attachment. This concludes our overview of the Attached File question. If you have any questions or comments feel free to send us a message at support@devicemagic.com or leave us a comment below.